Click To See The Latest V8TV Videos! V8TV airs across the US and Puerto Rico on various television networks and is carried on cable, satellite, broadband, and over the air (OTA) channels. V8TV currently reaches over 70 US TV markets including 9 of the top 10 DMAs. Of course, you can watch V8TV online as well! Now you can stream V8TV on your Roku account! Roku now carries TUFF TV and the Rev'n Channel in it's lineup, simply go to your Roku accound and search either of those two channels to see the show. V8TV airs across the USA on the TUFF-TV Network! Check out your favorite Muscle Car Restoration Show and all the other cool shows on TUFF! CLICK HERE for more info about the cities carrying TUFF-TV affiliates and the airtimes of V8TV! Click HERE for a list of TUFF TV Affiliate Stations! Click the map to see all the TUFF-TV Cities! Breaking: Rev'n Adds Los Angeles and Orlando Affiliates! V8TV airs Monday nights at 8 PM Central and Sunday at 1:00 PM EST. Check your local listings or the REV'N website for your local affiliate! Click HERE for a list of REV'N Affiliate Stations! Click the map to see all the REV'n Cities! Click the map for the Action Channel Cities! V8TV distributes videos to a variety of different automotive and social web channels reaching thousands of subscribers. YouTube - Over 50,000 subscribers to the V8TV channel, over 25,000 on Muscle Car Of The Week! It's no secret, people are cutting the cord in record numbers, and the trend does not seem to slow down anytime soon. Get a great deal on a digital antenna to watch TUFF, REV'N, or The Action Channel in your area for FREE! 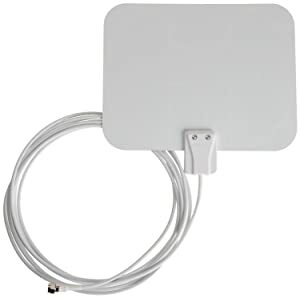 Keep your Dish or Cable, but you can now watch TUFF, The Action Channel, or REV'N on FREE digital over-the-air digital broadcast with one of these... just connect an antenna and select the ANT input to watch free Over The Air channels! Click to order! CLICK HERE for DIGITAL ANTENNA SELECTION and RECEPTION TIPS! Stay Tuned for the latest in V8TV TV / Web distribution!